Just made this for my son’s birthday and he loved it. He is allergic to eggs so I substituted aquafaba (canned bean juice). I didn’t have limes so I used lemon juice and lemon zest instead. It was a hit. Glad it turned out well for you, Naima. And thank you for sharing those tips. Happy birthday to your son! Can’t wait to try this cake for my brother’s birthday. 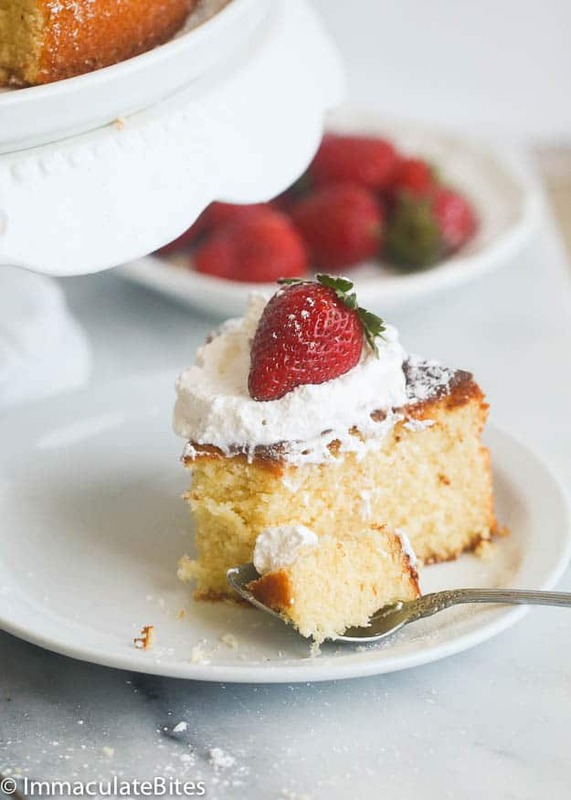 Hi i tried this cake and it is delicious everyone loved it, i tried it simple as your the first time then the second time I made little holes in it and with a syringe I put condensed milk so when you cut it it is not that dry nor that wet, it gives a good balance. Nice cake! I’ve noticed in the video you used only 2 eggs whereas the recipe says 5 eggs so how many should we use?? Which country in Africa is this cake from? It’s not an African Cake . I can’t wait to try this recipe. It’s quite interesting. I hope I nail it. The Cake Looks Delicious I’m Going 2 Make It For Sunday Dinner Will Let U No How It Turn Out. Thanks For The Recipe. Awesome! Can’t wait to hear the verdict. Hi! Should I use regular condensed milk or sweetened condensed milk? Some recipes call for sweetened. Can’t wait to make this! Thanks! I really enjoy your blog. Hi Lisa, I used sweetened condensed milk.So happy to hear the recipes are working well for you. I can see that you used sweetened condensed milk, and not condensed milk. There is a difference! You should make that correction on the list of ingredients. 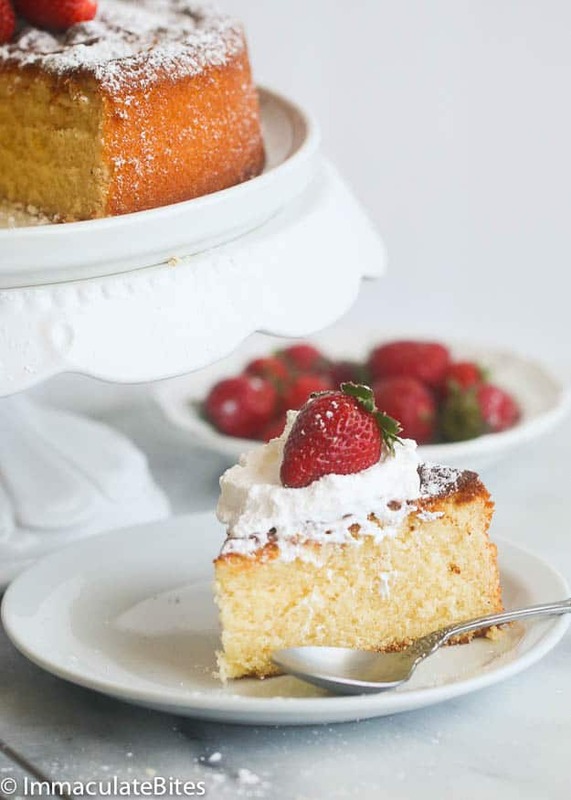 Made this, and it was such a lovely, sweet (but not too sweet), buttery cake! You can taste the condensed milk, which I love. I will make it again but with lemon. 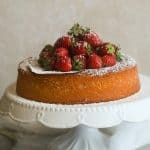 Is it possible to make a vegan version of this cake? I am pretty certain I can substitute the dairy milk for condensed coconut milk. I would like to know what alternative I can substitute the large quantity of eggs for without compromising quality and taste. Hi. Unfortunately, I haven’t tried alternating this recipe, so I don’t have a definite answer for that. Yes, I substituted aquafaba for eggs and it came out amazing. Aquafaba is the liquid in canned beans. 3 tbsp=1 egg. There is absolutely no bean flavor once you mix it with the sugar. You can use the juice from any kind of canned beans–garbanzo, cannellini, navy, black, or pinto. Good luck! 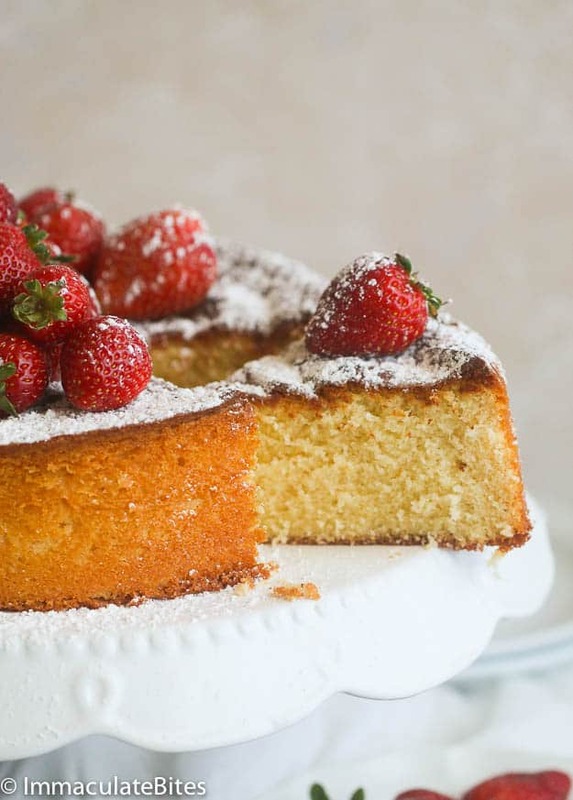 I am planning to make this cake for a Global Insights meeting about Africa and this came up as an African dessert. My question is how many eggs do you actually use? The recipe says 5, but the video only shows 2 being incorporated. Which is it? So sorry to hear about your cake not cooking properly in the middle. Next time try reducing the oven temperature. 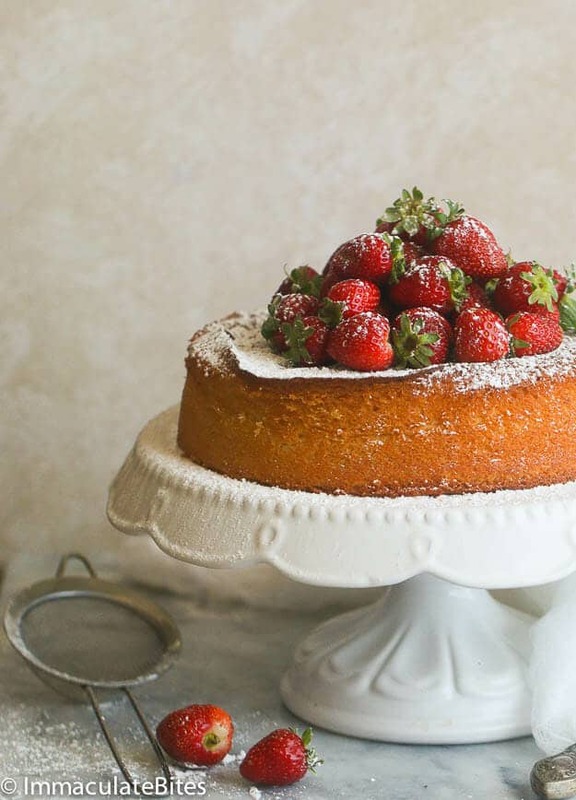 You might want to cover the cake top with a foil paper, about 30 minutes or more into the cooking, to prevent it from browning too fast . 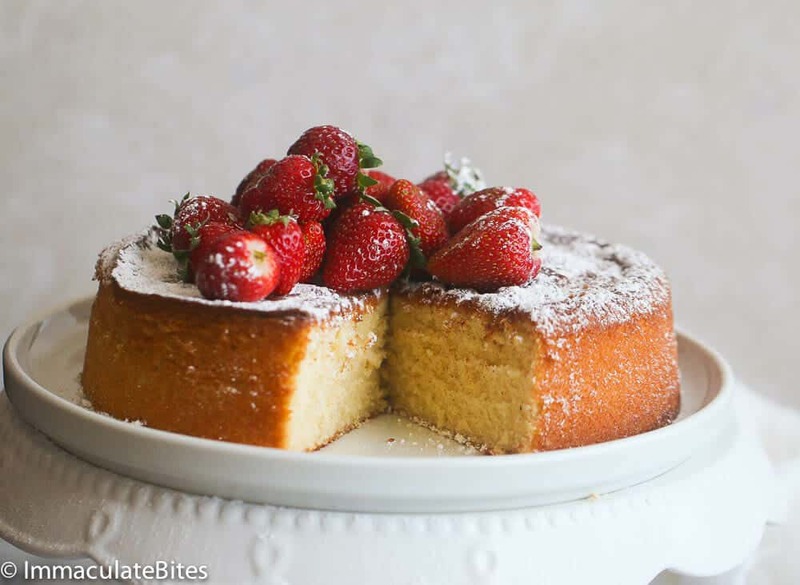 The goal is to let the cake cook in the middle without the exterior browning too fast .Also refrain from opening the oven, too many times when baking . Only start checking towards the end.